Thanks for your feedback. I visited the page you set up. Well done! Thanks for that. Perhaps more appropriately, the Earth thanks you. Keep on spreading the word. and all the best. I really enjoyed your video and I think it needs to be shared. I too am going to set up links on my website to direct people here. Sharing the love! That is appreciated. I went to your link. The next step in our (my wife and I) lives will be to go on the road here in New Zealand and share the idea of the inevitability of peace. Thanks for joining in what I anticipate will become an unstoppable dream. Wouldn’t it be amazing if arms were laid down for good in our lifetimes? Thanks John for visiting the site, It is still being worked on but before it’s done, it WILL have links to your site there. I’m actually thinking like Phil above and devoting a whole page to this. I think that what you are doing is very important and every human needs to know this. 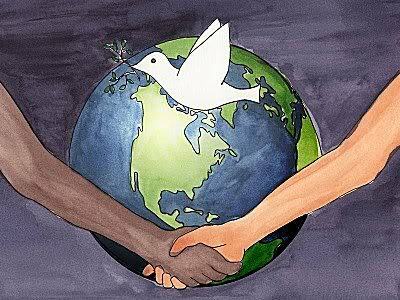 World Peace IS Inevitable – I really believe that. I was communicating with Billy a few years ago now and he inspired me a great deal. http://www.worldpeaceisinevitable.com is in the early stages of being set up but my hope is that I can keep it going even when doubts creep into my monkey mind.